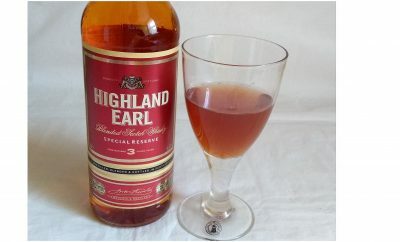 These luxury treats are in your local Aldi store now. Hollow inside and oval shaped, and with a beautifully printed theme on one side, it’s a damn shame to break them up. But they must be eaten! So read on. Made from 100% Belgian milk chocolate the indulgent Moser Roth Eggometric Abstract Print Belgian Chocolate Egg (200g) is finished with an abstract print fit for a celebrity. The geometric, triangular pattern is formed by rotating the chocolate shell with an overlay of purple triangles, separated by gold lines. 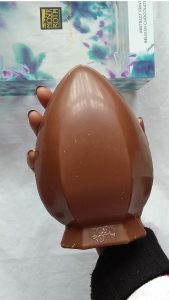 The Eggometric is modelled on Hotel Chocolat’s Face Egg, but at just £4.99 it is a fraction of Face’s £20 cost. Eight servings are contained in the Eggometric box. Sure to delight. Our second featured egg is the dark chocolate Moser Roth Single Origin Peruvian Easter Egg (180g). Made from 100% Peruvian cocoa beans, any initial bitterness quickly becomes fruity and fragrant on the tongue. This egg’s animal portrait symbolizes the fair trade conditions respecting wildlife and their natural habitat, from sourcing the beans to production and distribution. 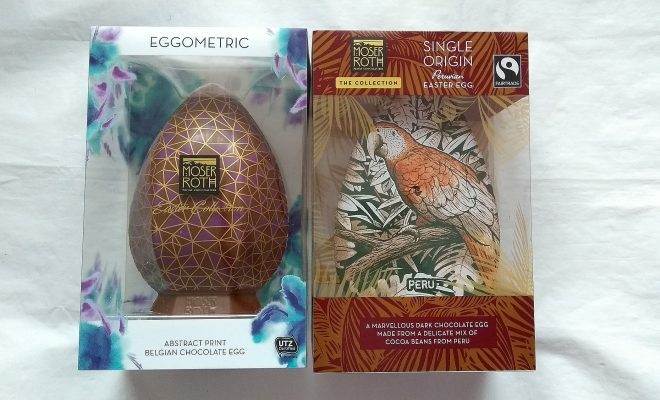 Modelled on Betty’s Brazilian Single Origin Dark Chocolate Easter Egg, Aldi’s £4.99 version is a steal compared to the £27.50 designer price. 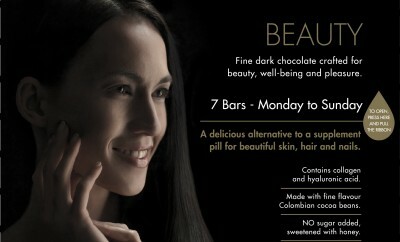 Six servings are contained in the box, which is also available in a Ghanaian Milk Chocolate model. In our bottom image, our model demonstrates the size of these eggs. 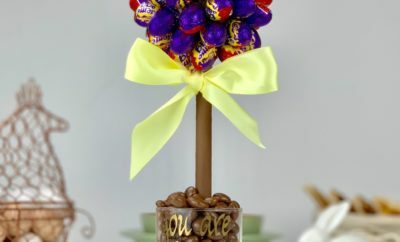 They feel weighty, are great value and will bring an upmarket feel to your Easter table. They also make great gifts. Aldi stock many Easter eggs, including truffles modelled on other designer brands, all at a fraction of the cost. ← Previous Story Celebrate Black Friday with these great Prosecco deals.